This novel may be the 3rd book in the Arkane series but it isn’t the 3rd I have enjoyed so far. 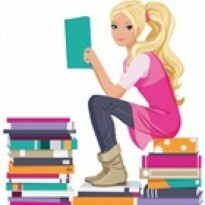 I have read and reviewed most of them out of sync and I assure you that I never felt lost choosing one book over the other. Each has its own merits and its own interesting story to tell. 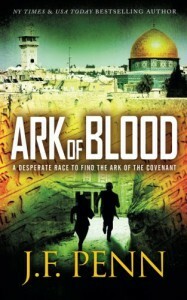 “Ark of Blood” brings us mainly to Cairo, Egypt, Jordan and Israel. This fiction is a solid mix of fact and mythology with plenty of action and intrigue. The story centers on a search for the sacred Ark of the Covenant by competing sides who want to derail the fragile peace summit in Israel. Morgan Sierra, our heroine, will do anything to avoid this to happen. Against the backdrop of the escalating violence in the Middle East, Ms. Penn’s richly writes a plot that is a well-researched escapade into the mystic world where Morgan will face Natasha, her nemesis, in a cat and mouse game as they pursue the Ark at any cost. The fast-moving action sequences are skillfully incorporated with Morgan’s inner battles with life and death. Ms. Penn skills lie on her ability to paint rich details and intricate observations to draw us in. This story shocks and has graphic ritual scenes of killings that will impress. Although this story is excellent it did not grab me as much as all the others I have read in the past. In this one, much time was dedicated on the rich narrative to the expense of the plot. Finding the Ark was too easy and the outcome so predictable….Good story but not my preferred.